If you are looking to sell your Mercury, we can handle your car purchase with no hassle at all. 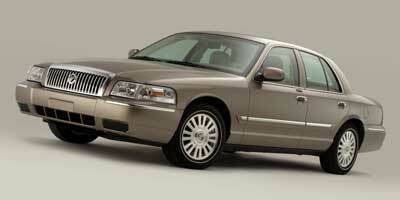 We buy Mercury cars of any age or model, and it does not matter what condition the car is in. We can purchase your Mercury for a fair price according to the Mercury book value. If you are looking for a safe and quick way to sell your Mercury, we can offer the perfect solution. Many people choose to sell their Mercury by listing the car on the classified market. This can be stressful and frustrating as many interested buyers may try to pay less than the Mercury book value. Ultimately, this can waste your precious time. Our reliable Mercury experts can help you through the entire process and have your payment sent to you immediately. Mercury vehicles offer safe and reliable cars and SUVs that have been trusted and respected for many years. Drivers have been very satisfied with the performance of Mercury vehicles. Mercury Mariners and the Mercury Mountaineer have been a popular SUV choice for many families. These vehicles offer luxury and space for those looking for comfort as well as performance. Other popular Mercury models include Mercury Capri, Mercury Sable, and Mercury Cougar. These models are all loved and trusted by many Mercury owners. All Mercury vehicles are time tested and approved for luxury, price and performance.